Secluded Lake escape water front Cottage ready for your enjoyment. 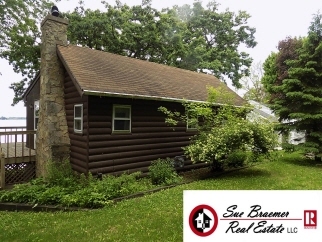 Tucked back on side road off Lake Drive, is this charming one bedroom Lake retreat. All furnishings are included, move in ready! For chilly evenings Curl up by the stone fireplace and enjoy westerly views over Lake Sinissippi. Additional Features and Amenities All furnishings are included, move in ready!